Don't paint it, NITROKOTE it! W.P. 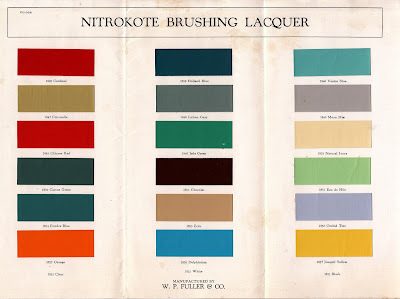 Fuller put out Nitrokote in the early 1900s. Fuller was the largest paint supplier on the West Coast. I guess you could say he was the Fuller Brush Man with a painting brush. Today when you see old paint on furniture and objects from the Pacific coast, it might have been Nitrokoted!